Home is where you feel comfortable! My team and I wish you a warm welcome and look forward to greeting you at the ibis Karlsruhe Hauptbahnhof hotel. Today's comfort feeling in a historic setting. 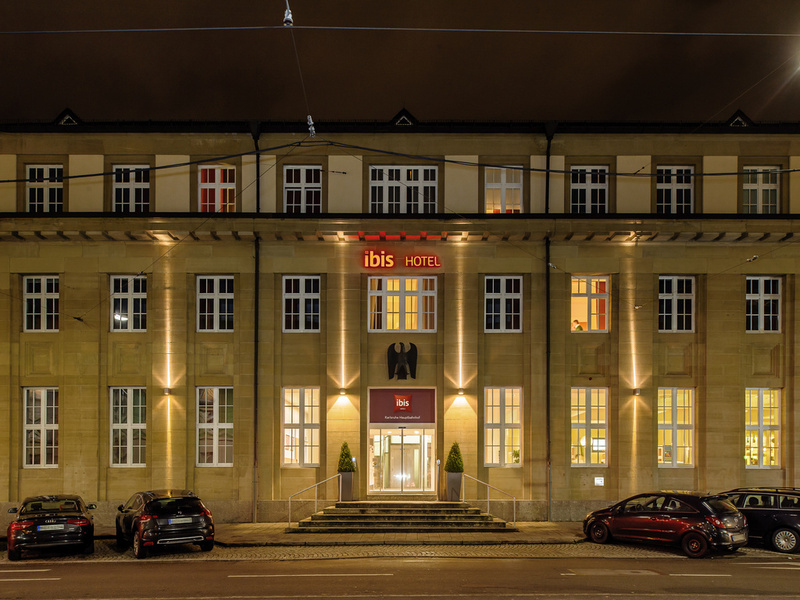 Just a few years ago, the 2-star Superior Hotel ibis Karlsruhe Central Station moved into the listed building after a careful, extensive modernization with innovative beds. The ibis Karlsruhe City hotel is near the park and zoo (Zoologischer Stadtgarten). The main train station and convention center are also nearby. Messe Karlsruhe convention center is 5 miles away. The castle in the city center is a few minutes' drive away. Enjoy relaxing moments and peaceful nights in Karlsruhe: All 139 rooms feature the particularly comfortable Sweet Bed by ibis beds. With functional desk, free WIFI and TV with a wide range of Sky channels.